They are basically the same weight as stock. I've beat the PCCB thing to death with a bat and a horse, they fit. Thanks, I was referencing the weigh difference specifically-I should have been more clear about the PCCB's as that was answered multiple times already. Any issues with fitting stock tpms? Picked up a set 20x9 20x11. 245/35 295/30. Will probably bump up to a 255/35 up front. Can confirm that they fit on a Cayman S. You do have the bend the hub wiring harness bracket back a little so it doesn't contact the tires. TE37 are timeless. Look good on almost anything. 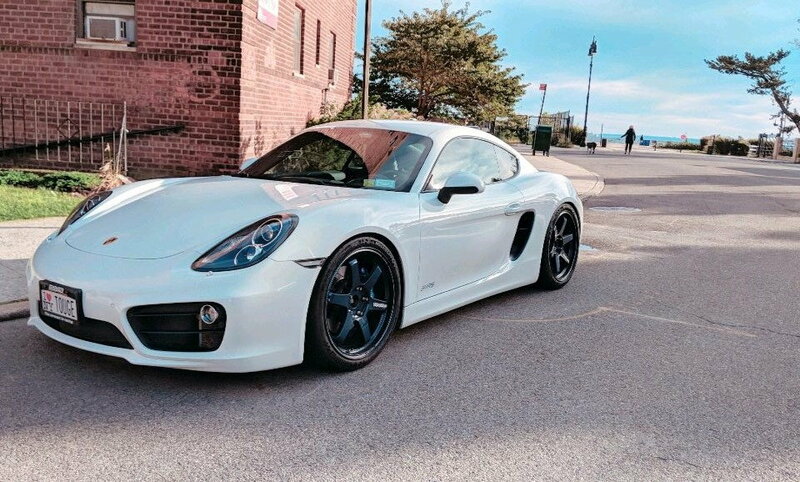 I personally prefer cross spoke design on the Cayman instead of blockier 6 spoke design of the TE37 since it tends to look smaller, but as long as you like it that's all that matters!